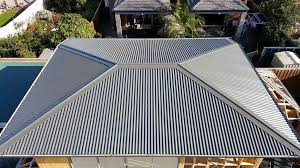 When your roof is beyond repair and you need a new roof, Choice Roof Restoration Qld is fully licensed for Roof Replacement and Gutter Installation. We specialise in all roof types, and there is no residential or commercial roof we cannot handle. Our highly trained and qualified roofers ipswich team are committed to providing roof services quickly and to a high standard of work. The roof is like an eyebrow for the face. Our roof makes an impression on architecture. This reason is why many people invest in a long-lasting roof for their property. There are many different types of roof choices in Ipswich. Especially Ipswich and Brisbane climate, we are looking for the roof that can handle the heat and is against the strong UV/UVB resistance. The keys of a good roof are longevity, being practical, prices, looks, easy maintenance and installation. Asphalt roofs: popular roof choice of all. Very comparable price on the market. You can expect to last up to 20 years. The upside is price and hardly ever need maintenance. Just be careful with choosing the right roofer to install right and fit perfectly. Metal roofs: Most durable roofs on the market. Panel and metal roofs are easy to maintain for up to 40 years or longer. Make sure you get a top quality metal roof for the quality guarantee. No one wants old barn looking roof on their property. Tile roofs: You must hear of “Brick and Tile house” when you are searching for a good house on the real estate market. Tile roofs are huge in Brisbane and Ipswich as it has been our favourite roof for many years. It is durable, last long, weatherproof and looking luxury. Generally, Tile roofs are lasting up to a good 50 years.